I had 6 months time to prepare for the wedding day. But I was still running here and there even before my wedding day. I have done lots of research about “The Best” in everything. I asked around, googled a lot, did some trial and error, took feedback and yelled at everyone whenever I lost patience. So here I am posting my 6 months PhD so that it’s useful for anyone who’s getting married. This may be little specific to Hyderabad and Telugu weddings. Koti is full of wedding card shops, my family wedding card was from there. But my personal wedding card was from creativeweddingcards. They have got some awesome cards. They need a minimum order of 100 cards. If you think, you don’t need 100, then you can split them with your partner. I got an UP movie themed card, as I always loved Carl and Ellie’s love story. Their story to me was about spending time together be it in a domestic way or in an adventure. We got 100 UP cards for 3K. My wedding was in Bhramaramba function hall, Kukatpally. Including food and decoration, it was 6.5L. But it was worth it. From everyone’s feedback, everything was perfect. 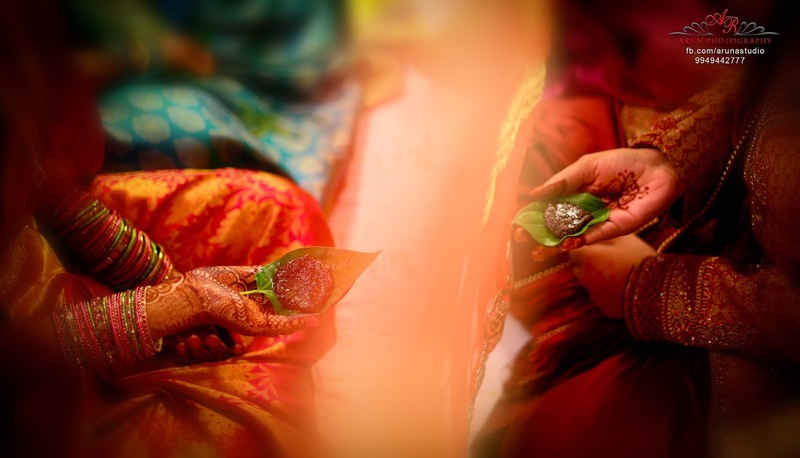 In general, 2 sarees are needed in a wedding ceremony. I was supposed to have a Pradhanam saree and a Thalambralu saree. You may want to spend less money on Thalambralu saree as it will only be useful for Pooja/Vratham/Onam kind of ceremonies. Also, it gets covered with all turmeric and other stuff. 1. Mandir, Banjara Hills has good collection of bridal silk sarees in reasonable amount. Uppada saree collection is also good. 2. Sai Kanchi, Banjara Hills: My cousins got sarees from here, I found it little expensive compared to Mandir and the collection was less favourable to me. 3. VRK Silks, Kukatpally; Good if you want to buy something greater than 20K. 4. Mebaz, Kukatpally: For fancy sarees, Mebaz had good collection within 20K range. 5. Zasya, Jubilee Hills: For small occasions and within 10K range, you can get lot of fancy saree collection here. 1. Neerus, Banjara Hills; Awesome lehengas, bit expensive compared to other shops. 15-25K range. 2. Trisha, Jubilee Hills; Beautiful lehengas from 5K onwards. Great collection within 5K-10K range itself. 1. Reliance Jewels, Panjagutta: Surprisingly, Reliance had best collection of chokers and long chains. 2. Shree jewelers, near Peddamma Temple; To get jewelry made for you, this would be a good choice. If you can’t get bangles or finger rings in your size, you can get them made here in short time. 3. Chennai shopping mall, Kukatpally; For plain gold or plain gold chains, this has best gold rates. 1. Meera designers, Panjagutta; Very very expensive + tax. But, you do get good design, perfect fit and the best thing is you get them on time. 2. Veda boutique, Nizampet; I had to do lot of follow up and visit her several times, even before my wedding day. She delays everything and you don’t actually get the end product as you desired. Reasonable prices. 3. Moksha boutique, Kukatpally: Costlier than Veda, but better than Veda in terms of design and stitching. But she is super rude and not just delays the stitching, but even fights with you when you ask your blouse after deadline has long gone. Lot of waiting too to get her attention about your blouse design. I had to roam a lot to get the perfect Ghunghat, I visited Chawli and Narsingh Kukatpally, they had collection, but I couldn’t get the perfect colour. Finally, I bought it from Narsingh, Ameerpet. I had to buy the net material and the border separately and get them stitched. It seems Laad Bazar has lot of readymade ghunghat collection. Inorbit’s Jaipur mehendi is the best. I got it done from there on several occasions. They will visit your home for free. You may need to pay some advance when you are booking them for the day. Bridal will cost 3500-4000 for full hands(front and back) and feet. Maang ki tika(papidi billa), matching bangles(metal/glass), bindi(stickers), fancy ear rings, nose ring, jada billalu(hair accessories), basikam, kalyanam bottu(bindi), saree brooches, nail polish, ankle chain etc. You would need all these. I got these from multiple places like Forum mall stalls, Belleza Kondapur, Begum bazar, General bazar, Pooja samagri stores in Kukatpally and the fancy shop in Madhapur petrol pump lane. You can get almost everything from Pellipoolajada. Every area has it’s own branch, you can visit and check their catalogues and order. They will deliver it to the venue on wedding day. We bought poola jada, veni, addutera, decorated kobbari bondam with bride and groom’s names, decorated garigamuntha, decorated kunda, garlands, navaratnala talambralu,etc. They also have ghunghat and basikam, but they didn’t have much collection when I was getting married. 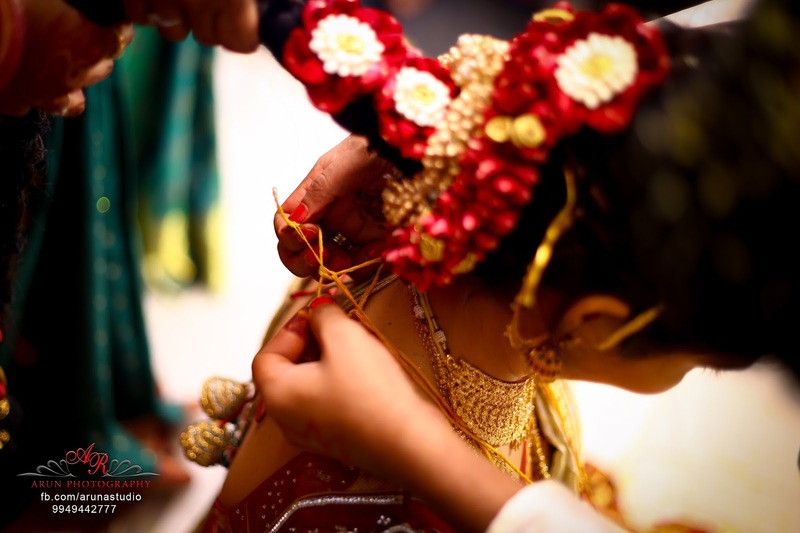 Most importantly, look for a proper beautician for make up and saree draping. You can check their previous customers’ pics and decide. 3. Sweat pads and wet wipes. 4. Lots of safety pins, bobby pins, hair pins, U pins, rubber bands. 5. Right toned CC cream and compact. 9. Petticoats, falls, picos for all sarees. 10. A big handbag that will come in handy to hold lot of things which you will need while roaming to and from your in-laws place for lot of ceremonies. 11. Some traditional dresses to wear other than sarees. 12. Bangle box as you will be now having huge collection for each saree and would need to carry them in travel. 14. Get facial, henna, etc done from a parlour. If you don’t use the make up items mentioned above and if you only want them on the wedding day, then check with your beautician if she will get her own stuff. Don’t buy unnecessarily for one time use as they are mostly expensive. We bought pattu battalu(4.5K) from Manyavar, Forum mall. Other shops also had pattu battalu, but they were double the cost of what Manyavar had. We bought sherwani(21K) with dupatta, pagdi and shoes from Mebaz Corporate, Banjara hills, Blazer(4.5K) was from Raymond, Forum mall and formals from almost everywhere. 1. WTH. I can’t think of anything :-|. Just buy something nice to wear and be in the mandapam on time.